It gives us great pleasure to invite you to an open day as part of National Dying Matters Week. The day will be an opportunity for us to explore together our choices around death and dying with the hope of bringing death back into the heart of our communities and empowering us to make the most of our (finite) lives. There will also be a wide variety of related information, specialists to talk to and examples of local sustainable coffins and shrouds. There will be a tour of Pentiddy Natural Burials with Anthony and Ele Waters 11am – 12pm to include the opening of the new wild flower burial site. 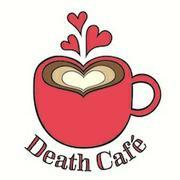 A Death Cafe (in the straw bale house) will be hosted by Confortia with cake, drinks and discussion. The roundhouse will be set up as a space for quiet reflection. You are also invited to bring a picnic and wander the community woodlands. Dogs on leads welcome. For directions click here.